We have started our slow slide back to school and now that August is here I really need to pull everything out and get serious about preparing Mr. B’s courses. He is at the stage in the game where he wants all the cards on the table. He wants to see in his assignment binder all the work that is expected of him along with a schedule to get it done. I never would have dreamed that this child would prefer this style of schooling but he has so many things he wants to do with his time and that means being as efficient with his time as possible. I can make that happen for him…using some thought, my Homeschool Tracker, and some new tools that I have at my disposal. One of the new tools that I have in my toolbelt is the WonderMaps program from Bright Ideas Press. I received this mapmaking program as part of a prize package earlier this year and I fell in love with it right away. My boys have always been very interested in maps and geography over the years and this program would have fit our needs for a long time. It would have been an investment in long term geography study. Sigh. I will enjoy it this year as much as possible. What makes this product so unique is the fact that you can customize your maps. Each map has multiple layers that you can add or subtract to create your finished printable map. You can make a master map with all the labels and then remove the country and city names to make a map your child can fill in. We are going to be working on several areas of the world, memorizing the country and capital names so this feature is a bonus and makes following up easy. I found that after I make a map that it is beneficial to save a copy to my computer. I have created a file folder for my customized maps and I make sure to name each file with the particular region and other pertinent information.These maps work well in our history, geography, and in our art and music appreciation notebooks. I punch holes in such a way that the map is facing the notebook page for a two page spread. Benefit #5 Thematic maps make teaching upper level geography so much more interesting. My son loves the Thematic maps and we have printed every single one listed that pertains to the 20th Century. These are going to be integrated into his history study making the time period full of interesting connections between history and geography. These maps take history up to the next level. We are just scratching the surface of the WonderMaps potential. I only wish we could have had this product years ago and been using it alongside NotebookingPages.com’s notebook pages. 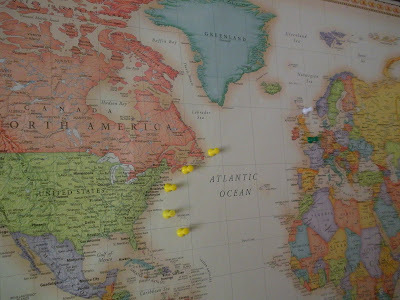 You may be interested in reading Jimmie’s review of this product along with her wonderful tutorial of a video: WonderMaps for Living Geography. You may also be interested in reading my entry that shows more of our high school geography: World Geography For High Schoolers. NOTE: This is not a map I printed from WonderMaps. This is Rand Mcnally World Map (Classic Edition World Wall Map) from Amazon.com. 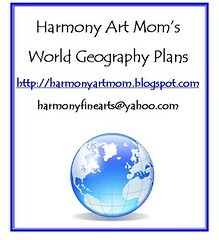 You can read how we made it into a wall map for our living room in this entry: World Geography. Did you print that LARGE map? Did you have it done somewhere? No, the large map is from Amazon.com. I removed the big image of the map at the top because I didn’t realize it would lead readers to think I printed the wall map from WonderMaps. I put a link to Amazon at the bottom of my post with the actual wall map information.